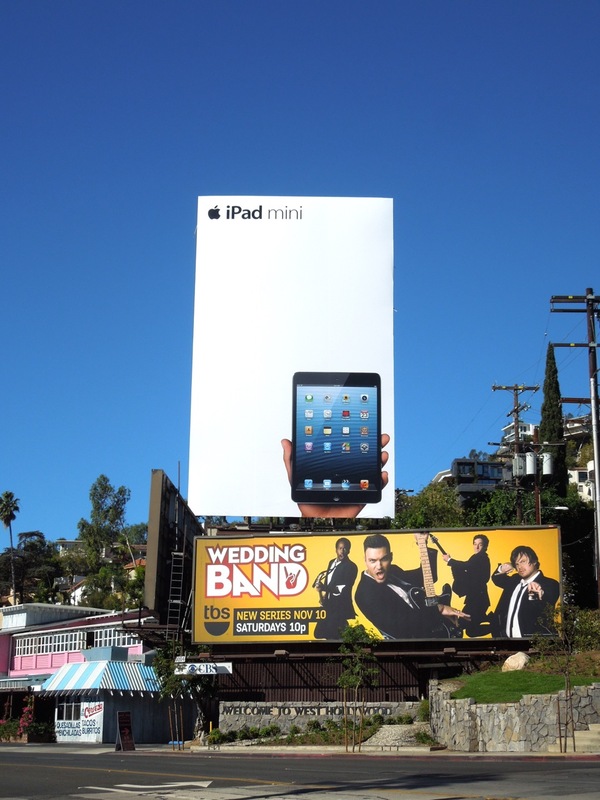 Let's face it, Apple not only knows how to design their products, but they also know how to create clever ads that are both brilliantly designed and humourous at the same time. 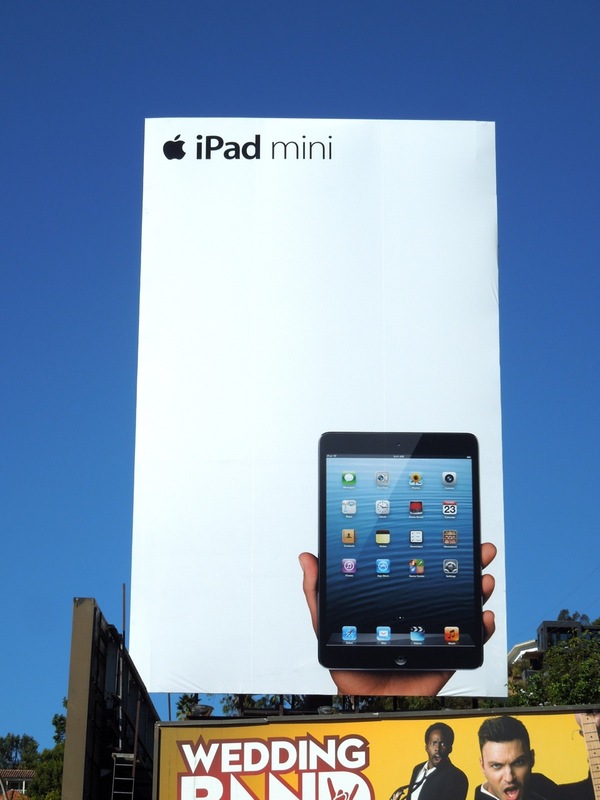 Their latest billboards for the new iPad mini make the most of the ads trademark white space to help hammer home the smaller size of their newest tablet. Conversely the recent billboards for the larger iPad made sure to fill all the available space with vibrant, colourful imagery to help communicate the third-generation tablet's new retina display. 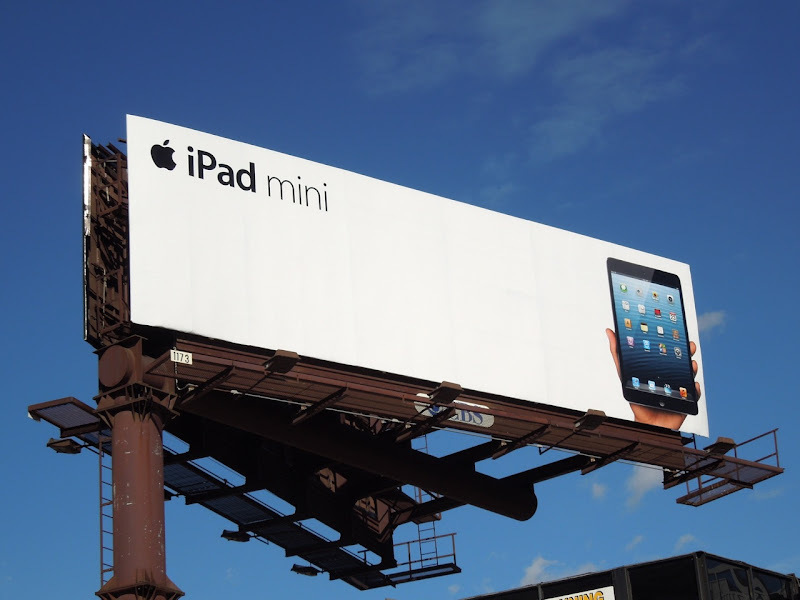 Daily Billboard didn't notice at first because it's quite subtle, but the ads also showcase either the white or black versions of the new handheld iPad mini. 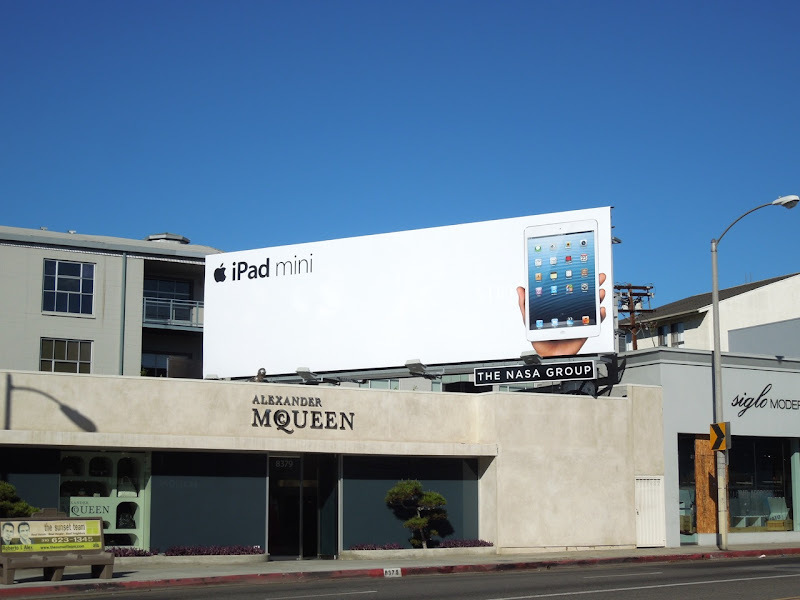 The giant vertical ad was snapped along the busy Sunset Boulevard next the Chateau Marmont Hotel, whilst the other sharp looking billboards were spied along Melrose Avenue, Hollywood Boulevard at La Brea Avenue and a large square creative at the major tourist destination, the Hollywood & Highland Center, from October 25 to November 9, 2012. 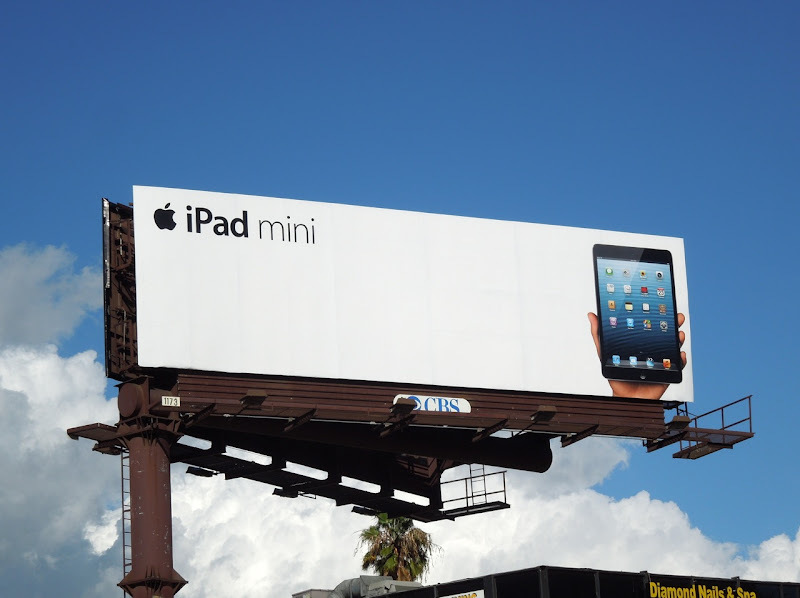 If you're a fan of the brand, be sure to check out these other Apple iPad billboards from around L.A. and New York City. 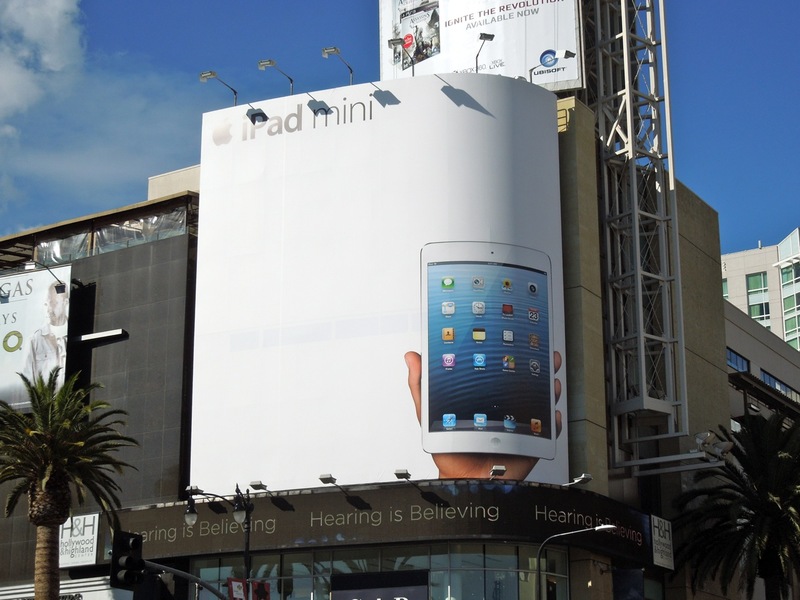 "Apple not only knows how to design their products, but they also know how to create clever ads that are both brilliantly designed and humorous at the same time." 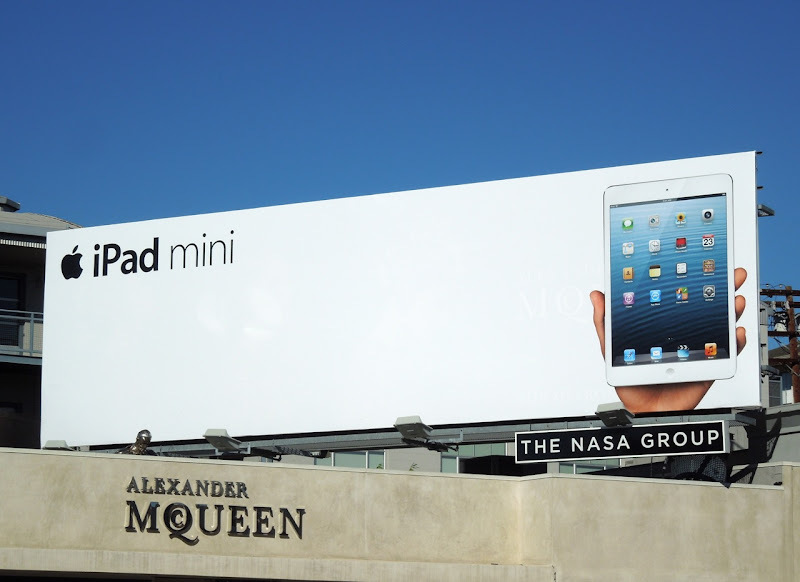 -I think it is safe to say Chiat Day located in Los Angeles deserves some credit considering they are the ones who are creating all of Apples advertisements. I'm always happy to credit any design or ad agency responsible for any of the billboard ads or campaigns featured here, so I welcome feedback from anyone who wants a shout out for their work, especially when it's this good!